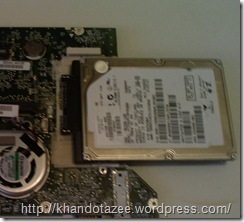 Welcome to Acer Aspire One Hdd modding post, AAO 110 comes with only 1.8” SSD ZIF connecter, to increase the storage space, either you can purchase high capacity SSD (they are quite expensive) or install 1.8” PATA drive as shown by tnkgrl. Although while searching i also found a 1.8” to 2.5” IDE connecter here. 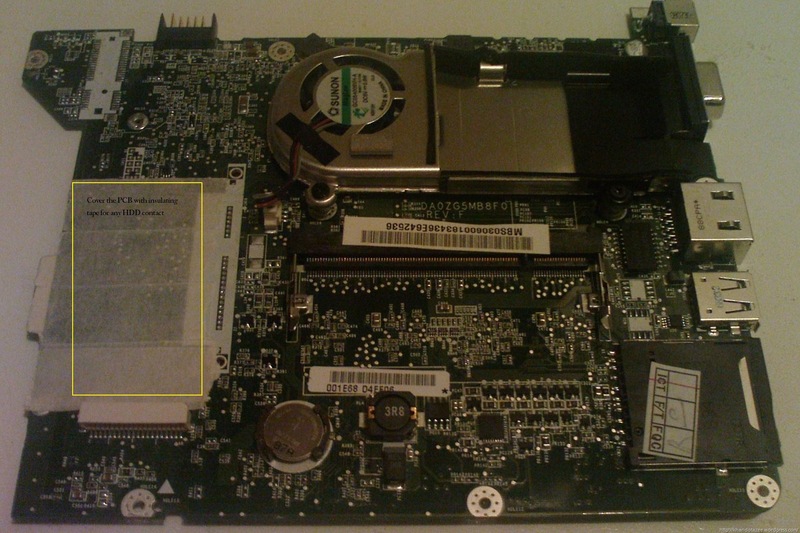 AAO 110 comes with a SATA controller but you need to attach a sata connecter to AAO motherboard by soldering. DISCLAIMER: You need a fine precision soldering skills to perform this mode, i recommend use of temperature controlled soldering station with 0.5 mm tip and flux, magnification is plus. i will not be a responsible of any damage of any kind, so try this at your own risk. 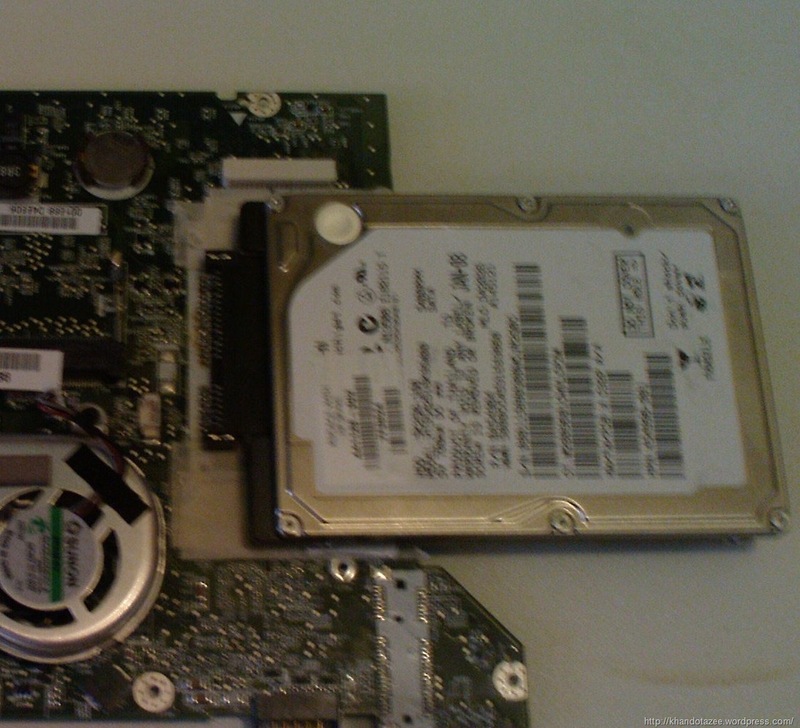 Place tape or insulating material between the HDD and PCB for safety. 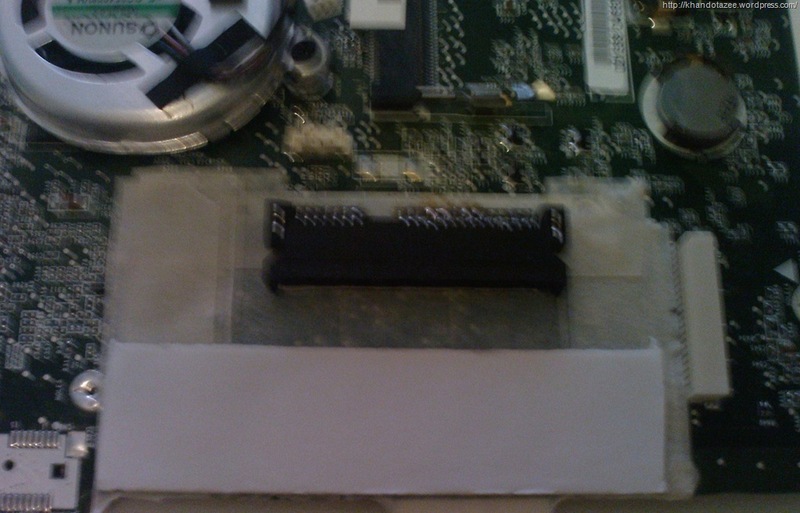 For Sata connecter we need a MOLEX 47018-2001 connecter, with MOLEX 47018-4001, the gap between the Hdd and motherboard will be greater and cause some balance problems. First fix the connecter to the PCB through double sided tape ( half part, which is slightly higher than the pins ), and start soldering, you need to solder all the data pins (1-7) and for power terminal pins (4,5,6)ground and pins (7,8,9 )5v must be connected rest you can leave as well. see here for complete pin outs description. 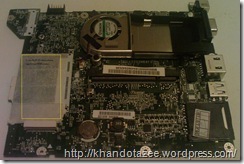 Also short the r364 (mark as small yellow box in picture) to get the power to sata connecter. 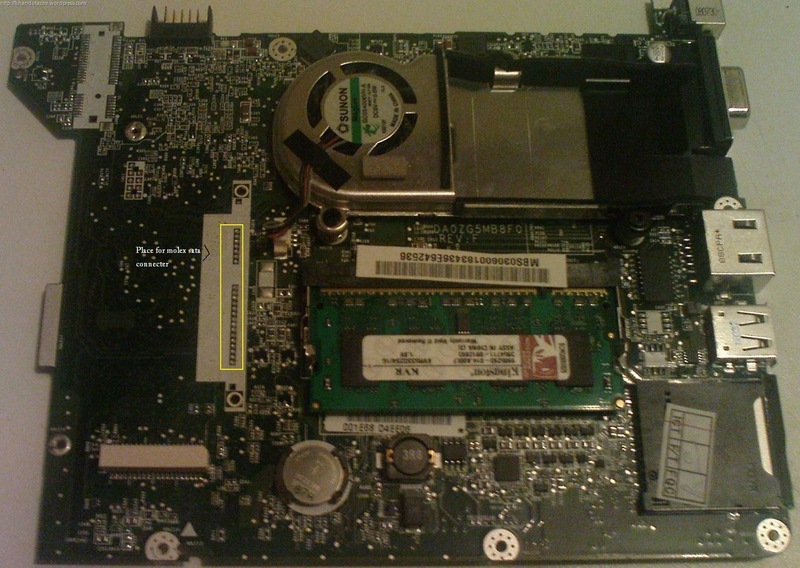 After soldering it would look like this. 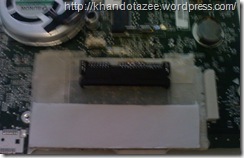 you can also place a double sided type under the HDD to make it more stable and fix. last but not the least, insert HDD…. i found no way to solve this, as a result right side of the AAO cover will not be perfect fit, you can see a slight gap. i am still looking to find some other alternative to Molex connecter. other than that HDD recognized by the bios. 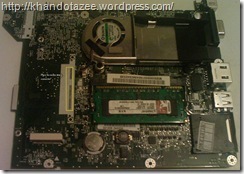 i try to install the Windows XP on AAO, but it was hell of a big problem, but i will keep it to another separate post. What kind of problems do you have installing windows xp on a aao? I installed it properly as a client in virtualbox – it works fine. Out of the box there is xp installed. oh my god, it was hell of a job, i try all usd stick and usb hdd methods to install it, but non of them works, i try u3 sticks and normal.some time it just could not boot and some times just begining or after a while of xp installation system restart…..
did you try to make an ISO-copy of a Winows XP CD-Rom to an USB-Stick? This ISO you can make as bootdrive in virtualbox. Without Virtualbox may be http://unetbootin.sourceforge.net/ will help. Thanks for this step-for-step guide! I’m tempted to do the same. Have you managed to find a solution to the space problem? Maybe find another connector, similar to the Acer’s? hi 2manydjs, ya i found the another connecter but not from acer they are from HP, and actually they are two connectors but problem is finding their parts-numbers, when i found them i will post them on the blog.. i will advise you wait for a while…. did you deactivate the D2D-option in the BIOS? … and may be here is a good instruction to install XP. I have read, that you should use XP with SP3. With SP2 there are a lot of problems. Hi Rene, i was bit busy with my work, but i also try that one long ago and same problem again , it just shutdown, but i managed to get a external dvd drive and install the XP, i work fine first few hours then again my system start keeping shut down again, maximum 20 minutes i get at every session and again it just shutdown, at ( theacerguy.com. ) forum i found the similiar dicussion but with no true answer…. i believe your aa1 has a hardware-problem. May be you should change it to an other one… I use mine with different operatingsystems – without any trouble. 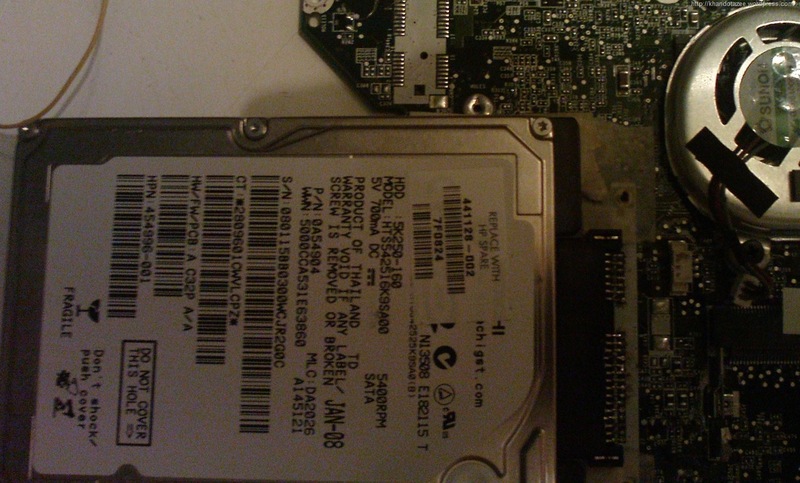 Bro… I’m running XP sp3 into my AAO 110 8gb ssd. so far i just install straight from usb cdrom. never happen any problem. 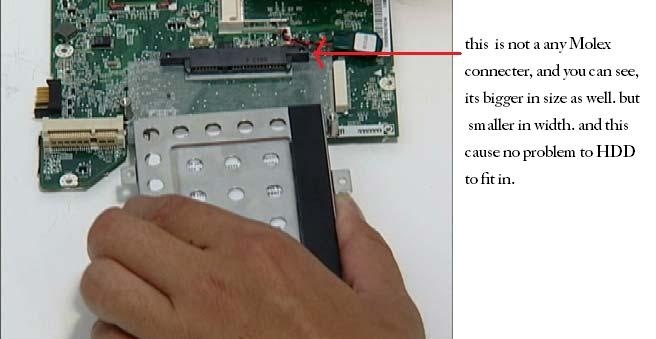 Is the partnr of the original sata connector already known? 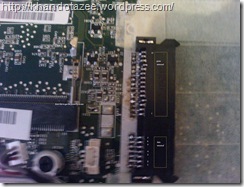 The molex parts mentioned earlier aren’t available, the closest I got is with the foxconn LD2722V-S099, it is exactly the same as in the pics, but the connector seems to high. Perhaps you can approximate if it is really too high. looking at datasheet, i think the connecter is of exact size, but i am not 100% sure as i do not own AA1 any longer, but if your connecter is slightly higher you can use any tape, perhaps double side tape or can place any non conductive plastic sheet (same length as hdd Length x Width). or anything u can find appropriate….